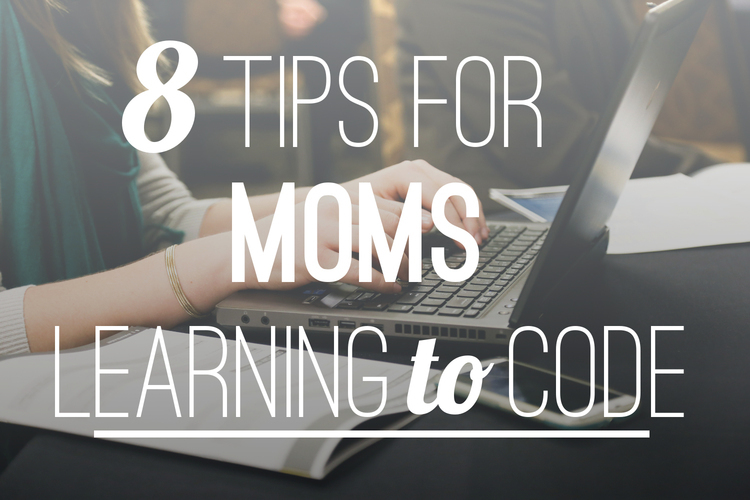 A great way to break into coding! I'm enjoying my experience with Skillcrush. This is the third time I've tried to learn to code and I'm a fairly new student but am proud to have already created two projects and am working on my third (the farthest I've progressed in the same amount of time learning to code compared to other courses I've tried). The Skillcrush lessons are fun, short, and brilliantly structured, which makes learning them easy and retaining the info -- or going back to refresh when you need to -- easy also. The instructors and community of learners are very supportive and encouraging. It's easy to get help when you need it and I've noticed some of the more advanced students chime in and help others also. There is also a tracker at the top of your portal which shows your progress, and I find it motivating to know at all times how far I've progressed in the classes. I would recommend Skillcrush to any aspiring coder. I'm looking forward to building my knowledge and skills as I continue through the lessons. Overall, I am happy that I chose to start learning coding basics with Skillcrush. I've created learning materials for many years, and I've got to say that the Skillcrush folks have done a really good job at taking complex, intimidating topics and breaking them down into easy to learn lessons. When I started, I really had no idea what CSS even was, and now I can look at some code and understand what's going on. They've got a friendly, understanding, empathetic approach which, for me, makes a big difference. The instructors are always available. If you get stuck on a project, they don't necessarily give you the answer straight away, they give you hints on where to find your errors and self-correct - which goes a very long way in helping you learn. There are loads of resources available for students and practical suggestions and projects that help you create real-live, working websites. If you're completely new to learning any type of code this class is a great start! I just completed the HTML and CSS course. I felt the course progressed really well in terms of building my confidence in the beginning with support tools and resources and then getting progressively challenging. The videos in the course reinforce the text that follow each lesson. The quizzes are great at ensuring that the high level information of the chapter sticks. Overall I would recommend it to any of my friends interesting in learning front end development. I highly recommend Skillcrush to anyone who is willing to challenge themselves to learn some invaluable skills that will undoubtedly continue to positively affect their life. I was completely new to the Break into Tech program (my background is in Violin Performance). Skillcrush made what seemed daunting and intimidating into an organized, instructive, community-based, and achievable possibility. I am now heavily invested in this new adventure in my life and largely looking forward to the career changes that will allow my life to prosper within the near future. I have been on Skillcrush for a month or so now and am quite impressed with quality of the courses. Their clear and consistent content is worth it and I found their instructors friendly and approachable. Look forward to continuing my coding journey with Skillcrush. I stumbled upon Skillcrush wanting to add more to my resume and possibly change careers. The experience has been great! I've tried some of the other free online coding bootcamps, but always felt there was something missing in the knowledge base when trying to complete projects. Skillcrush has filled in those knowledge gaps and expanded on it. They have an excellent balance between video and written tutorials, then reinforce with hands on experience. The instructor and student community is great, you learn quickly that there's a bunch other people in the same boat as you and are very supportive. Also whenever I've had questions for the instructors they've been very quick to reply and help out. Enrolling in Skillcrush is the best career decision I’ve made yet, waaaay better than that overpriced, generic 4-year university degree I got. 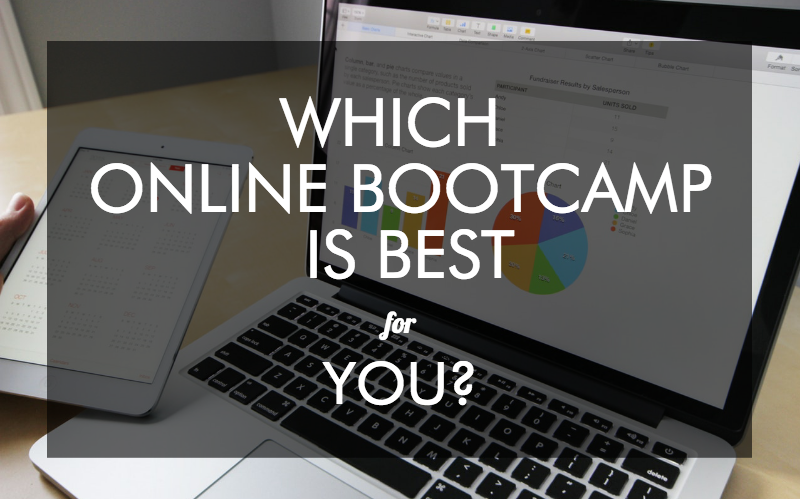 When I decided I wanted to become a web developer, I spent several months trying various free online courses and boot camps, and nothing worked for me. I learned some skills, but didn’t feel like I really knew what I was doing with them. When I started Phase 1 of Skillcrush, I realised that I had already learned most of the information I needed to start coding as a career, but I needed Skillcrush to put it all together. And they did. Not only did I learn a lot of new and useful skills and tips, but I learned how to put all of the pieces of the puzzle together and become a confident coder. “Confident” is the key word here, because the information provided in Skillcrush and the clearly guided layout of the courses allow you to build your knowledge base from the ground up and become more and more sure of yourself with every lesson. After Phase 1, I already feel confident that I can make a classy, fully functioning website for a client and get paid for it. I honestly wish I had found Skillcrush before I wasted my time on all of those other free courses. So far I have gotten through the 1st part of the basic first course. I have enjoyed the clarity and throughness of the curriculum. I like how the learning process is set up. I am anxious to get to the point where I choose a more indepth path to go and start earning money with what I know. I have gotten several emails regarding how Skillcrush will help me find work. I am excited to get to this point, hopefully soon. I wish I could be going through everything a bit faster than I am. So grateful for the time and energy it took to put such a great program together. The courses are really nicely laid out and easy to both understand and get through, regardless of your schedule. Everything is presented nicely and the amount of information is just right - not too much and not too little. It feels like I am learning loads without killing my self. I plan to take more Skillcrush courses once my current one is complete. I'm currently enrolled in the Skillcrush Break Into Tech Blueprint (Skillcrush 101) and the UX Research (Skillcrush 108) courses. I love that the courses are self-paced, which accommodates my full-time work schedule. And although the courses are self-paced, I don't ever feel alone. There are an abundance of help options when needed including: instructor interaction, help via email, and the Skillcrush Student Community. The instructors are knowledge experts and I approach each class with the attitude that I'm a sponge & going to soak up everything they have to offer. The Master Classes give present detailed information on any of several areas of interest for students, and they're very well done. The courses are detailed and I feel I being well-equipped for a role in the job marketplace. I recommend Skillcrush highly and have referred a few friends to the opportunity already. If you're looking to advance your carreer into a high-paying industry with an abundance of opportunity, Skillcrush is the place to be. Break Into Tech Blueprint is AMAZING!! I joined the "Break Into Tech Blueprint" just over a month ago and I am so thankful I did! I have been toying with the idea of changing careers from teaching to web development for over a year now and have tried various other methods and classes to learn the skills required to make this switch. And, while, several of the other classes did provide helpful and useful information, Skillcrush has been the one to allow me to finally focus on the areas I need to improve on and gain the confidence to make a switch. Their real life examples have allowed me to fully grasp each concept and to feel confident that I will have the skills to one day move into a new career. Thank you so much Skillcrush!!! I've been completing the Break Into Tech Blueprint and I've been loving it so far! I was debating just learning by myself with free tutorials on Youtube and the other interwebs. But ultimately I decided to go with Skillcrush because I liked the idea of being part of a community, having actual instructors you can talk to, and just the overall vibe is super fun and approachable. Yes I could learn the same materials from disparate places, but everything is in one friendly place and you get access to industry knowledge, master classes from actual experts, webinars, the whole thing. I was really impressed with how quickly my questions have been answered and I'm looking forward to the coaching sessions! Now I just want to tell everyone about it, especially my sister who I think would love it too! I love the lessons and how they incorporate projects with step by step lessons. This is a mixture of video lessons, written lessons and quizzes along with live sessions that you can attend via zoom meetings I like that you have a suggested timeline, but can go at your own pace. There is also a wonderful support site on slack where you can meet other students and instructors, ask questions, post your work for feedback, and network. Everything is high quality including the video lessons. This is not just a course of videos to snore through like you might find on Udemy and Lynda. It is interactive complete with projects and portfolio building projects. I have been taking this Break Into Tech Program for two weeks and so far everyone has been very helpful. Actually, I have found the support to be PHENOMENAL! There are also live chat features attached to individual lessons for quick answers to questions. I have not gotten far enough in the program to rate the job assistance. Will update later, but I gotta tell ya. I Love this course!!!! Brilliant! I'm so happy I made the decision to study with Skillcrush. They make learning a complex subject fun and easy! I've read books on WP Development, tried Udemy and Lynda....but I couldn't understand any of them. Finally I have some clarity on WordPress, clear on best practices and insider industry knowledge. Skillcrush has been an awesome experience. If you are sitting on the fence, I would say do it, you won't regret it. I started the Skillcrush Break into Tech Blueprint three weeks ago and I couldn't be happier with the experience so far. The content is delivered brilliantly - cut down into bite-sized chunks and daily lessons, with clear explanations, repetition and tasks to consolidate learning. I feel like I've learned so much in just a few weeks and I'm very excited to discover what's next! I would highly recommend this course to anyone who likes to work methodically and to chunk tasks down into manageable pieces. There is also signposting to a wealth of really useful resources, and so much support along the way from an online student community to live career counselling sessions. I feel like help is always at hand if I need it, and I've been especially impressed at how quickly I've received a response after submitting my feedback tasks. Each of these were valuable in there own ways but Skillcrush is great all around. Its website is minimal, its videos and readings succinct, its challenges are light-hearted but informative, its community is supportive, and the emphasis on job readiness is astounding! Me and my girlfriend are both taking Skillcrush courses and we love them. There's one more factor you must consider. Skillcrush is feminine, and it works for that reason. For reference, I am a man and one that's not very intouch with my feminine side but for skillcrush IT JUST WORKS. Listen, when you're dedicating hours of work a day everyday for months to sitting down at home infront of your computer the least comforting thing is a man awkwardly making jokes and starring intensly into the camera speaking monotone. Adda and her team are very spirited and lively, it's the right amount of excitement, and the right amount of feminism. Not the over-the-top brand that tends to contradict itself. Skillcrush proves women should not only be welcomed in tech but are quintessential! I'm enrolled in the Break into Tech Blueprint course and I can honestly say that this is the best decision that I've made for personal growth in a long time! It is refeshing to be part of a thriving on-line chat community, as well as on-going lessons that assist me in challenging myself in skills that were both dormant and not so dormant, like "problem solving". Enrolling in Skillcrush after taking the 10 day boot camp is the best thing that I've done in a long time. The courses are self-paced, and as the courses progress, I'm learning a lot more about myself. The instructors are extremely compassionate about what they do and are always eager to offer a helping hand if needed. I haven't progressed far enough along to begin the job assistance portion but feel confident that this training will result in a favorable outcome. I am so glad that I'm part of the Skillcrush community and hope that someday I can give back what is so freely given to me. Overall, this course has been stellar. The hardest thing about it was trying to do the work and learn, on top of full time work and graduate school. That being said, just pacing myself made it happen. I took longer to complete the section, but don’t feel ashamed of it anymore now that I’m at the end of the tunnel. The instructors have been extraordinarily helpful and not only support our work but our wellbeing. It’s been an amazing experience in that regard. If you’re worried about the cost, I get it. Seriously - made me get a headache just thinking about it. However, paying the amount (and seeing my skills grow in multiple ways) was ironically a cool experience because I proved to myself that I can do anything. Skillcrush came about at a time in my life that couldn't have been more perfect. For a number of reasons, I spend a major portion of days at home and having the convenience of this course being online is just perfect. The course material is not too easy and not too hard. That being said, it is challenging and will take time and effort to master. Once mastered, however, you will feel unstoppable. I feel competent and capable, and it's all thanks to Skillcrush. It's also great that instructors respond quite quickly to comments, questions & concerns. I am very much a fan of Skillcrush as a whole and would recommend to anyone interested in getting started in tech. I have tried to understand html and css for while and I believe I´m finally getting it!. Classes are fun and you really feel encouraged to keep on doing it. I also have to say that I´m a native spanish speaker taking the course from Spain and I´ve been able to follow it without problem. All credit to the course founder for putting this together. I am a 40 year old with two young kids so NOT a fast learner. I hate reading instructions because they require concentration and I get overwhelmed. To say that I was apprehensive before taking on the course would be an understatement. I am still at foundation stage, so still a long way to go, but I’ll try to relay how it works for those considering the course. Break into Tech is broken into learning blocks, which in turn are broken into short learning sessions so you can decide on the pace yourself. If you are capable you can cover a couple of blocks at one time, if not so much, maybe just a couple of learning sessions. Those blocks also offer practical exercises to apply freshly learned skills. Mind you, by the time I got to building my website, I forgot it all and had to go back several times, which again was very easy to do. Still stuck I had to get in touch with instructors. They reply quickly and are very patient. I met two of them via Zoom and they are great, very helpful and not at all pretentious. You will have to buy some software but everything is very transparent and you will be told in advance as to how much you are likely to spend. All credit to Adda. I can tell she has put in a great amount of effort and thought into this and this course is quite an achievement.